Leith van Onselen and I were commissioned by the Sustainable Australia Party’s Victorian branch to examine the causes and implications of population ageing in Australia, and whether maintaining a high immigration program is a worthwhile policy response. Population ageing due to longevity is one of the greatest successes of the modern era. However, it is widely thought to dramatically reduce workforce participation and overall output resulting in significant economic costs. This widely held view is wrong. Ageing countries have higher economic growth and the improved health and longevity of older people increases their economic contribution. High immigration is also thought to combat population ageing and be a remedy for these non-existent costs of ageing. This is wrong. Low immigration can affect the age structure by helping to stabilise the population, but high immigration has almost no long-run effect besides increasing the total population level. This creates bigger problems in the future. It is also widely thought that simply investing in infrastructure will accommodate high immigration and population growth at little cost. Diseconomies of scale are a feature of rapid infrastructure expansion due to (1) the need to retrofit built-up cities, (2) the dilution of irreplaceable natural resources, and (3) the scale of investment relative to the stock of infrastructure. This ageing-immigration-infrastructure story is wrong on all three of its major points. Population ageing should be seen as the successful result of improvements in medical and health practices that have improved longevity and fostered a long-lived and economically productive society. Population ageing is a successful result of efforts to improve longevity. Countries with older populations maintain high workforce participation, are more productive, and grow faster economically. Ageing does not lower workforce participation in general. Since 2012 there have been more full-time workers aged over 65 than under 20. Low net immigration of between 50-80,000 permanent migrants per year can alter the age structure over the long-term by stabilising the population. 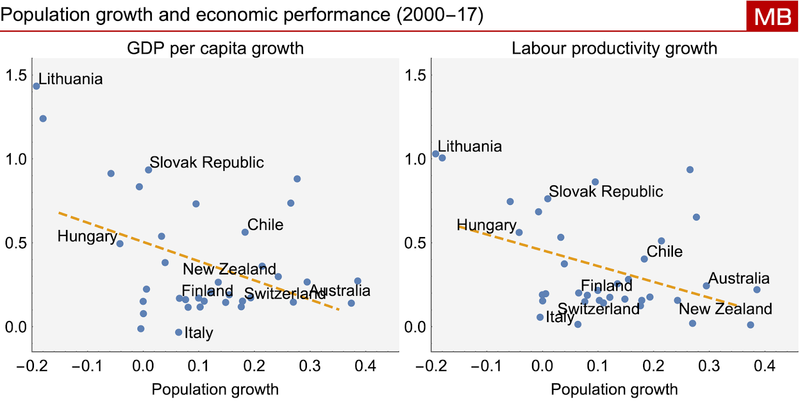 Low net immigration increases GDP per capita and wage growth. High net immigration above this 50-80,000 amount has almost no additional effect on changing the age structure and simply increases the total population. Most of the increase in permanent migration since the early 2000s has been through the skilled migration program. This program primarily benefits the migrants themselves and increases wage competition for other workers. A focus on skilled immigration fosters a “brain drain” from developing countries, reducing human welfare. There is a real economic cost to high population growth due to the diseconomies of scale inherent in rapid infrastructure expansion. There is a real cost from environmental degradation due to development to accommodate much higher populations. The high costs of population growth are often ignored, as immigration policy is a federal matter, while infrastructure provision is predominantly a state and council matter. Population growth in general dilutes ownership of our environmental endowments, mineral wealth, fisheries, wildlife, and national parks. 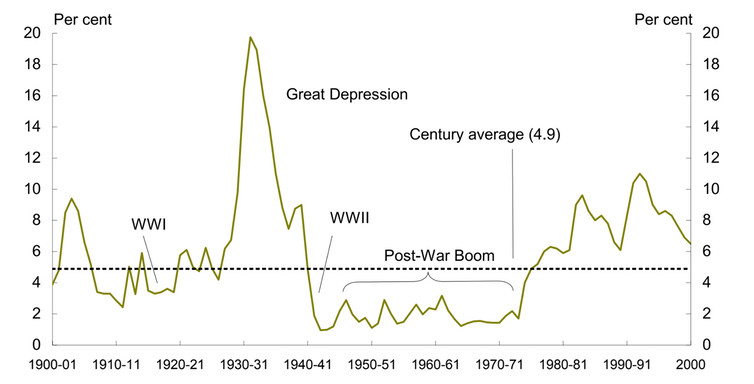 The political capital and resource devoted to managing high growth have an opportunity cost in terms of solving other social problems such as homelessness, indigenous disadvantage, mental health, and other social services. Reframe ageing as the economic success story that it is. Reframe immigration as an environmental and ethical choice, not an economic necessity. Lower overall net immigration to the 50-80,000 range by mainly targeting skilled visas. This can largely be achieved by increasing the minimum salary for skilled migrants to 150% of the average full-time salary, or $129,900. This desirable net immigration range can be achieved while having a slightly higher permanent intake of around 80-90,000 per year, as permanent departures will reduce the net effect while still maintaining the optimal target range. Adopt systems for infrastructure planning and provision that clarify the expected cost of new public and essential services, and ensure upgrades keep pace with city growth for the benefit of existing and new residents. A famous 1999 article in the The Journal of Real Estate Finance and Economics was entitled Why don't we know more about housing supply? It starts by observing that in the 1960s and 1970s most scholars had found that the supply of new housing was perfectly elastic. In plain English, this means that new housing construction seemed to mysteriously occur whenever it was required, regardless of the price. So if the standard economic logic that high prices incentivise more new construction fails, how is one to solve this economic mystery? The solution is surprisingly simple and was identified as early as 1970. The decision to build a new house on a piece of land is not a production output decision but an irreversible capital allocation decision (i.e. you can’t easily ‘unbuild’ the house next year if it is the wrong decision to build it today). If you try and understand housing supply in terms of the standard single-period static supply and demand model you will struggle to make sense of housing. In this static model world, every opportunity for housing construction is already taken up, since it compresses all future time into a single period. If it could be profitable to build a house in ten years time, then the model says it is already built! Once you break free of this static view and add time to your thinking, housing supply makes a lot more sense. Landowners can choose not only how densely to develop housing on their land, but also when to develop. After all, if the price of the land is rising quickly, why would I develop today when I could make more money by holding the land vacant and developing more housing later? When you start thinking dynamically the price cycle and the supply of housing become tightly linked. I want to demonstrate briefly how dynamic balance sheet allocation decisions make sense of housing supply mystery with a simple example. To set up this example, we need to understand firstly that the economically optimal behaviour in capital allocation decisions is to maximise the rate of growth in the value of the total balance sheet. For the moment I ignore risk and uncertainty to make a simple point that is much more subtle in reality. Consider a balance sheet as per the Table below. In the beginning, the portfolio is $100 of cash, vacant land (2x lots worth $50 each), and housing (say one house on a lot worth $50 with a building worth $50). Cash receives a total return of 2% from interest. Vacant land receives a total return of 4% in capital gains which reflect the rising value of the option to develop. Housing gets a 3% rental return that comes in the form of cash, and a 2% return from capital growth. If no capital reallocation decisions are made, then in the next period the balance sheet is as shown in the Base column. The extra $5 cash comes from the 2% interest on the cash balance plus the 3% rental return from the house. Both the vacant land and housing are marked up to the new market prices. It is only economical for a landowner to increase housing supply on their vacant land by swapping cash for a house if it increases the total rate of growth of their balance sheet. You can alternatively think about the 'cash for new construction' swap as borrowing for new construction. Let us now see what happens to the balance sheet growth if a new house is built on one of the vacant lots using $50 cash. The result is in the More housing column. From the $150 cash, $50 was used to build a new house on one of the two $50 plots of land, and the now $200 worth of housing increased in value to $204. The two houses also returned $6 in rent, which in addition to the $2 interest on the remaining cash balance, took the total cash balance to $108. The remaining vacant land lot increased in value by 4%, from $50 to $52. In total this portfolio reallocation decision increased the rate of growth of the balance sheet to 4%, compared to 3.43% if no reallocation was made. Thus, it was economical to make this reallocation and build a new house. Importantly, this decision did not depend on the price of housing at all. We have no price level parameter at play here—only the yield and capital growth rate. Thus, the first important insight from this dynamic view is that decisions to invest in new housing do not depend on the price level. This contrasts with conventional static economic models that suggest that the supply curve for new goods is upward sloping with respect to price. Now consider that instead of reallocating cash to housing structures, it was reallocated to holding more vacant land. In the More land column I show the balance sheet effect of buying another vacant lot. Here the now three vacant lots grow from $150 to $156 in value over the period. The cash balance is reduced to $100 but increases with $2 of interest and $3 of rental returns to $105. The housing grows in value to $102 for a total balance sheet of $363, or 3.71% total return. Adding more land to the balance sheet was also desirable in this situation. Under these conditions there is an incentive to both increase the stock of vacant land owned, and the stock of housing built. This is exactly what we see happening with land developers in Australia. When they develop more lots they also increase the stock of vacant land held in their ‘land bank’. The chart below shows this relationship for the top eight residential developers (for both houses and apartments). When the rate of new construction increases they also source more vacant land to expand the stock kept on their books. I demonstrate the effect of responding to both incentives in the final More land and housing column. Here, two vacant land lots are bought with cash and one is used to build a new house, expanding both the stock of vacant land and housing on the total balance sheet. Here, the three vacant lots increase in value by 4%, taking the value from $150 to $156. The two houses increase in value from $200 to $204 and deliver $6 in cash from rents. The total balance sheet at the end of the period is $366, or a 4.57% return. 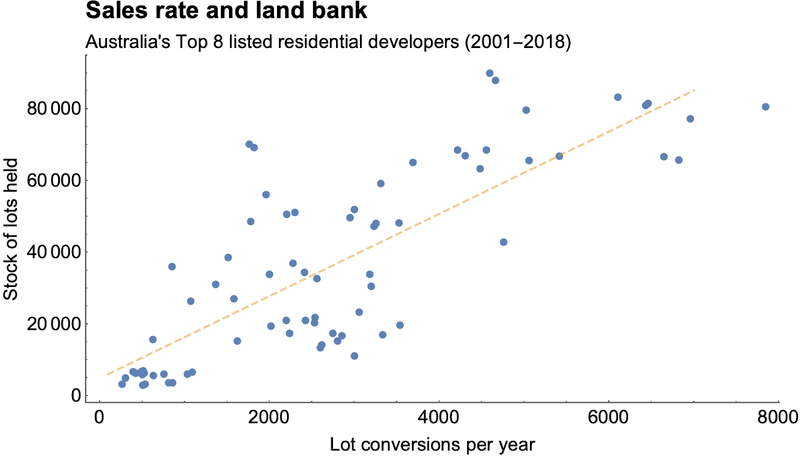 During a price boom, it is optimal to increase both new dwelling construction and the stock of developable vacant land. Consider the again the same starting balance sheet, but this time the capital growth is negative, just like after a peak of housing price boom. Interest on cash falls a little to 1.5%, land price growth turns more negative than the price of housing, but yields are roughly constant. In the table below, we can see the balance sheet effect of reallocation decisions under these new conditions. In this case, since owning vacant land offers a pure negative return with no imminent positive cash flow, it is a bad play to have too much on the balance sheet, and either converting it to housing or cash is the way to go. This scenario is very similar to what is happening now in Australia. Developers are trying to transform their vacant land assets into new housing using a build-to-rent model while at the same time reducing their land banks. All of a sudden there seems to be a flood of land and housing available! Similar logic applies to owners of under-utilised housing who might be holding a dwelling vacant, or using it only occasionally, because keeping their options open is being paid for by capital gains. When their balance sheet starts shrinking their best option is to start renting the home to improve their overall portfolio return, further flooding the market. Rising prices encourage the conversion of land and cash to housing but also encourage the conversion of cash directly to housing. This mostly occurs by buying up the existing homes and in the process bidding up prices. The dynamic balance sheet approach shows why these purchases cannot happen without bidding up prices. The simple reason is that current owners of housing also have an incentive not to sell and to themselves expand their balance sheet exposure to housing. An equilibrium in which prices are stable and the stock expands to accommodate demand defies balance sheet logic. The feedback cycle of high house price growth attracting further home buyers can continue until all willing participants have maximised their available exposure to housing. Then, as buying stops, growth rates fall, and logic dictates that reducing balance sheet exposure to housing is necessary, fuelling the bust. This is why credit plays such a crucial role in the cycle. It facilitates large negative cash balances (loans) being converted to housing, greatly expanding the total capacity of the agents in the economy to shift their asset balance towards housing. One way to align the cycle more closely to expanding supply rather than prices is to differentiate credit availability, making it more accessible for new housing and less accessible for existing housing. The increase in Chinese buying in the 2012-2017 cycle that was biased towards new housing did help expand supply higher than otherwise in the cycle, but in the process further fuelled price growth. Rezoning vacant land to allow higher densities fits into this view as a way to increase the rate of growth in the value of vacant land held. In short, it makes keeping land vacant relatively more attractive than converting it to new housing. It is easy to understand the logic here if we think about the reverse scenario of down-zoning land to decrease its development density. The threat of future down-zoning would encourage faster conversion of vacant land to housing. The possibility of future up-zoning, therefore, encourages the holding of vacant land and a slower rate of conversion to housing. Developers aren't secretive about this behaviour. In 2013 Stockland told its investors that it was delaying some projects to “improve return prior to launch.” Without the option for up-zoning to improve returns, these projects would have been built and sold sooner than otherwise. I have spent more than ten years trying to unravel the mystery of why the observed patterns of housing supply conflict with standard economic reasoning. I now think I have solved it, but it is a radical departure from the standard thinking that most economists, housing analysts, and policy-makers are trained in. Instead of housing supply responding to prices, it responds to the rate of return of different asset classes. In this world, the notion of a static equilibrium seems to make little sense if the rebalancing of portfolios into new housing feeds back into prices. Both prices and the rate of new supply move together until the system runs out of new buyers. What seemed in the boom to be a shortage of land and housing suddenly becomes a flood as expectations of high returns vanish. 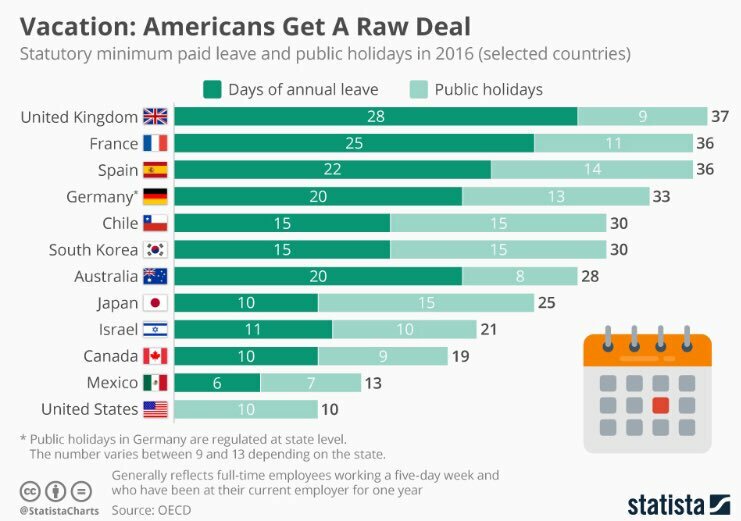 Just ask anyone in Ireland or Spain about this. The only remaining mystery is why this dynamic approach, which has part of the intellectual debate in economics journals for nearly half a century, is not a central part of mainstream economic discourse. This is an expanded version of an article first published at The Conversation. 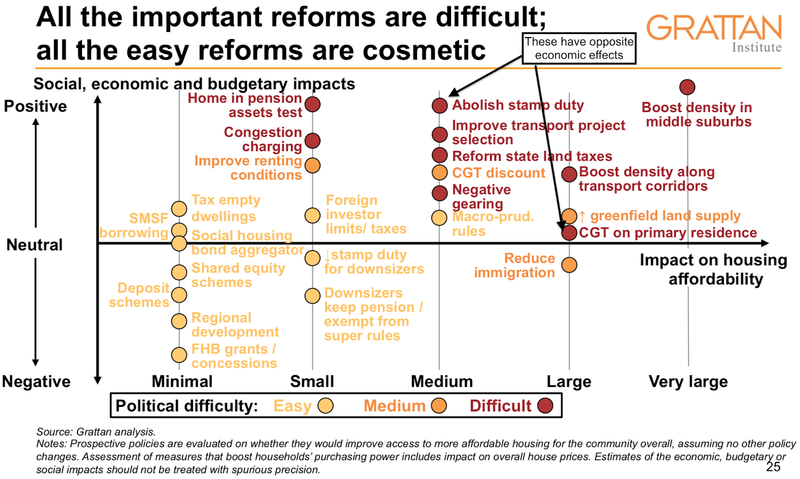 Most think-tanks and policy groups in Australia think that a policy to swap ‘stamp duties for land value taxes’, or what I will call SD4LVT, is going to provide some impressive economic and housing benefits. But layers of bad economics hide beneath the new populism of SD4LVT. It is extremely frustrating to me that leading minds in Australian policy have smashed their heads together and decided that the best reform they can think of is to replace one good tax on property with another good tax on property that is less politically popular. It's like subbing off the best player on the field for the best player on the team? Why not sub off the worst player instead? The better minds in this game don’t even think SD4LVT will have any effect on reducing housing prices or making housing at all more affordable, yet still put it forward as the ‘holy grail’ of state tax reform. The bad economics behind SD4LVT arises because four key points are missing or overlooked. The economic incidence of stamp duty is on the seller. This means that if you remove stamp duty, all else equal, prices will rise by exactly the amount of the duty. Good analysts know this, even if they rely on poor analysis by others that assumes stamp duty “increases the price that property buyers pay”. If the average home price is $500,000, and stamp duty is 5%, prices will immediately rise to $525,000 when you remove the duty. But if you want to replace the same tax revenue from stamp duty with revenue from land value taxes, you could wind up inflating prices and inadvertently creating an economic transfer to property owners. Total stamp duty revenue of $25,000 per year. To replace the $25,000 stamp duty revenue with a land value tax requires taxing all twenty homes at $1,250 per year each. Whether the market price of homes rises or falls depends on whether buyers think the upfront present value of $1,250 per year is lower or higher than the $25,000 upfront stamp duty they would have paid. At a 5% capitalisation rate in this example, $1,250 per year in perpetuity is equivalent to $25,000 and the taxes replace each other perfectly with no price effect. But what if turnover is half that, say 2.5%, which in this example would be where one house is sold every two years? Here, the total tax revenue to be replaced is $12,500, which equals just $625 per house in land tax. If we capitalise the perpetual cost of $625 per year at 5% we get a present value of only $12,500, which is half the stamp duty rate. A new buyer can now pay $512,500 for the house plus $625 per year in land tax and be equally as well off as paying $500,000 for the house plus $25,000 upfront in stamp duty. The net effect in this case is a land price increase from $250,000 to $262,500, or 5%. If this situation happened nationally in Australia, that would be nearly a $200 billion economic transfer to landowners, which would completely offset the value of their new land tax obligations. In short, replacing stamp duty revenue with land tax will increase prices if the capitalisation rate is higher than the turnover rate, and decrease prices if the opposite holds. Price effects are ambiguous for SD4LVT. Taxing capital gains only happens when a transaction is made that realises gains. Thus, it is a transaction tax, just like stamp duty, though the size of the tax is related to historical changes to property values rather than current values. Many in the housing discourse, such as the Grattan Institute, want to increase transaction taxes on housing by increasing capital gains taxes and expanding their scope to apply to owner-occupiers. At the same time, they want to decrease transaction taxes on housing by eliminating stamp duty because apparently transaction taxes stop people relocating. Somehow abolishing a transaction tax in the form stamp duty is good because it reduces the cost of owner-occupiers relocating, but then putting back a large transaction tax in the form of a capital gains tax specifically on owner-occupiers is also good. Huh? There are two problems with the ‘transaction costs impede household mobility and are bad’ view. First is the simplest. People who relocate for work generally don’t buy and sell houses to accommodate that move. Moving for work is not a common reason for buying a home, regardless of age, which might reflect a view by some households that work is a temporary reason for moving and therefore not sufficient to commit to homeownership. Thus, the effect of stamp duty on reducing housing turnover is likely to fall mostly on investors, who make up nearly half of housing transactions and can easily time their decisions. Transaction taxes make it more expensive for people to quickly buy and sell and deters speculative buying that seeks only to capitalise on short bursts of capital growth before selling, which itself fuels the capital growth and accentuates the bust. Many investors fall in this category, and many homeowners also make their location and purchase decisions based on expectations of capital gains rather than housing need. Go on, ask new homebuyers about property prices. See if they bought where they did for housing need or capital growth? The evidence on stamp duty deterring moving shows pretty clearly that moving for work is unaffected, as the below plot shows, with the main effect being from people making 'short moves' by relocating less than 10km. Indeed, the best evidence on turnover effects estimates only the size of the short-term shock as people adjust to the new price equilibrium. In terms of the claim lower stamp duty helps more efficiently use the stock of dwellings, as it reduces the costs to older people down-sizing, freeing up large homes for families, the evidence here is the opposite. When the ACT scrapped stamp duty for over-65s, the retirees who utilised the exemption bought bigger homes, rather than smaller ones, requiring them to implement a low value-cap on the exemption. After all, the distribution of home ownership is not driven by housing need, but primarily by wealth. Reducing the cost of redistributing housing by wealth will not suddenly make housing ownership less unequal. Regardless, turnover as a whole seems relatively unaffected by stamp duties. The early 2000s boom also saw massive stamp duty increases yet turnover shot up dramatically. The role of stamp duty in these patterns of housing turnover is tiny compared to other factors. Indeed, if you want people to move more frequently for a lower cost then implement a ‘moving house subsidy’, which could also apply to renters. It would also help renters forced to move unnecessarily due to investor turnover (yes, stamp duty also reduces undesirable moves for renters). Second, taxing capital gains on owner-occupied housing will be a far bigger transaction tax than stamp duty for most homeowners. Stamp duties are typically around 5% of the property price. For a homeowner who bought a home prior to 2012 in Sydney or Melbourne, their home has appreciated in value about 50%, or to put it another way, 33% of the current price is capital gain. This is triple the stamp duty for most properties. Even if the capital gains tax was discounted 50%, the nearly 80% of homeowners who bought prior to 2012 would still have much higher transaction costs from capital gains taxes than from stamp duties. In effect, stamp duties are taxing some of the capital gains during a boom that would otherwise accrue to homeowners, particularly owner-occupiers who are exempt from the capital gains tax. This seems like a good thing to me. 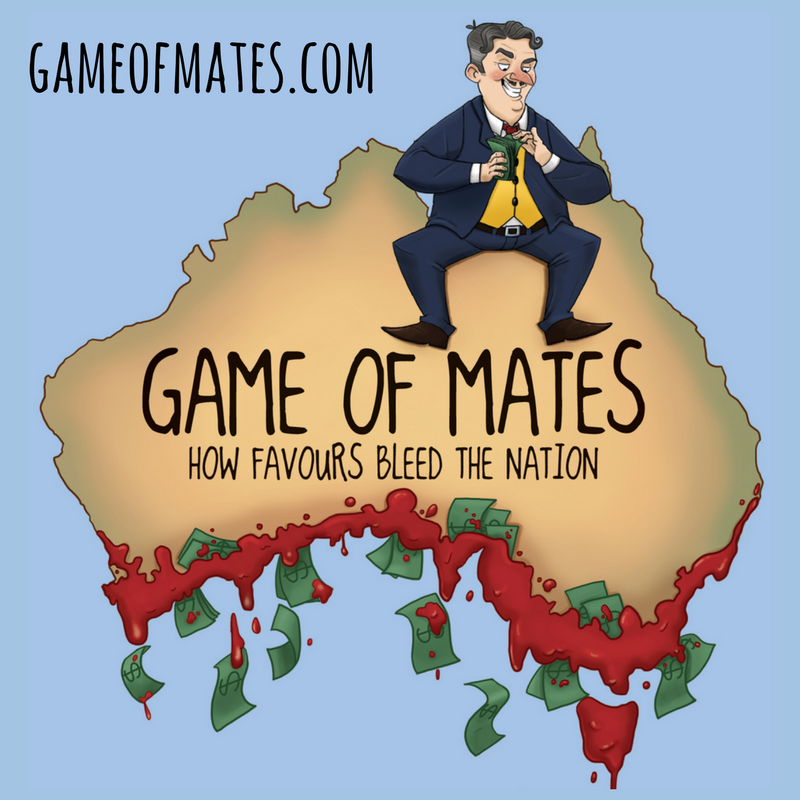 So while stamp duties are often claimed to be economically costly because they deter households relocating, their main effect is actually reducing investor churn, which is a good thing for property market stability. Additionally, the costs of relocating are probably less than the costs from other property transaction taxes that opponents of stamp duty support. Another concern in the discourse is that “stamp duty revenues are much more volatile than other taxes.” During a boom, revenues rise more than proportionally to prices since they depend on prices and turnover. Vice-versa in a bust. If I was to think in the abstract about what sort of taxes are good macro-economically, I would say those that are pro-cyclical, meaning they automatically increase tax revenues during an economic boom, and decrease them in a bust. On this metric stamp duty is a terrific tax to help stabilise the economy, which is even more useful in Australia as our economic cycles are closely tied to the housing market. The land value tax that many propose to replace stamp duty would have smaller automatic stabiliser characteristics, meaning the tax system as a whole would be less stabilising. From what I can tell the call for more stable tax revenues is not driven by economic reasoning at all. At best it appears to rest on some kind of political preference for state governments not to be involved in macroeconomic objectives. The metrics of economic disaster caused by stamp duties are usually derived from economic analysis using computational general equilibrium (CGE) models of the macroeconomy. Sounds fancy. You might have even seen a chart similar to the one below, with stamp duties presented as having massive flow-on economy-wide costs compared to other taxes. In this example, stamp duty is apparently forty times more economically costly per dollar of revenue than council rates, which are also levied on property values. As you might have guessed, this is absolute nonsense. CGE models cannot account for transaction taxes because, wait for it, there are no transactions in these models. It’s true. Look it up. But that hasn’t stopped many economists. Instead of using a better tool for the job, they simply invent a different thing that they pretend is stamp duty and put that into a CGE model. Rather than a transaction tax that is incident on the seller, and therefore incident on land values, a key layer of bad economic analysis assumed this instead (p125). Against all the evidence they assume that stamp duty is not a tax whose economic incidence is on land. Instead, they assume that stamp duties raise the cost of housing to all buyers and renters. In addition, the model assumption requires that stamp duties also raise the cost of building new houses without affecting land prices, leading to reduced new housing construction in general. Garbage in, garbage out. It’s hard to explain in plain English what is going on in these models. My best explanation is that the model says that stamp duty forces every new home to be built with an additional extension on the house, where the construction cost of the extension is the same as the stamp duty. But then as soon as it is built, the extension is immediately demolished, yet somehow the buyer is forced to pay for it. Meanwhile, all the other households in the economy are somehow forced to also pay more to occupy their existing houses, as if they were now renting non-existent home extensions. If that sounds crazy, that’s because it is. There is no actual economic evidence of broad economy-wide costs of stamp duties. Just garbage inventions that don’t look anything like stamp duties. Stamp duties don’t reduce the cost of housing. They do reduce asset churn by investors and speculators, which is desirable for price stability, and the apparent economic costs from reducing household mobility are overblown. The ‘revenue instability’ of stamp duties is actually a huge positive for the economy as a whole, and the economic analysis that has underpinned the talk of the high economy-wide costs of stamp duty is simply made up. All of this is true. 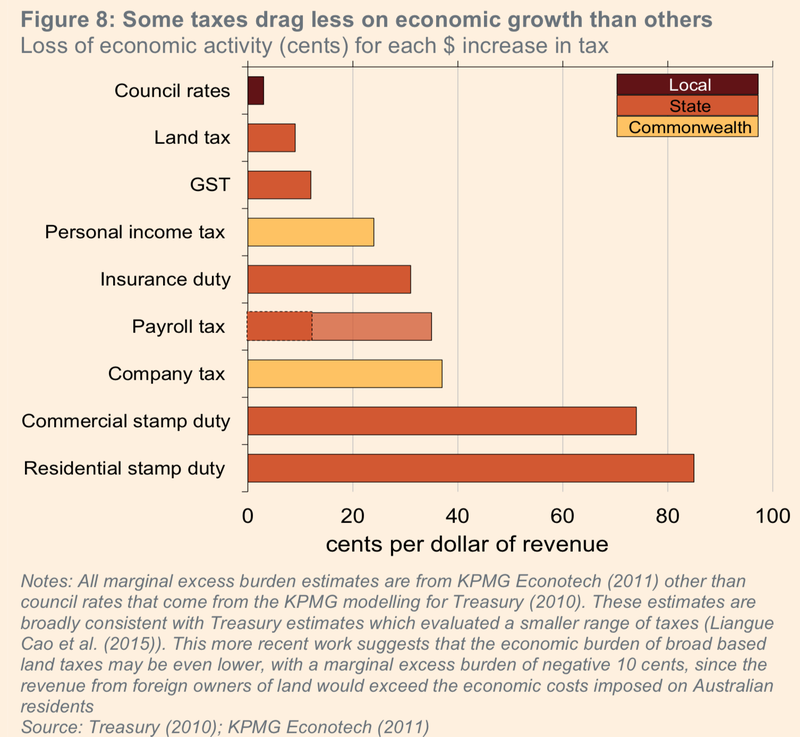 Yet SD4LVT is the apparently the holy grail of Australian tax policy. Our best policy wonks want politicians to use up the precious political capital to swap one very good property taxes for another very good but electorally unpopular one, for no net economic gain. People fuss over housing being expensive without ever really thinking about what their ideal world would be. My ideal world is one where everyone has the benefits of outright homeownership—few ongoing housing costs with tenure security. One way to get those desirable social outcomes is for everyone to own their own home outright. This can be done with the stroke of a pen. Simply convert all the current residential rental leases to land titles, transferring homes from landlords to tenants, then write-off all the existing housing debt (or shift it to the central bank’s balance sheet and adjust the interest to zero). After this housing jubilee, all homeowners will become debt-free and all tenants will become debt-free owners. Any other vacant and under-construction homes would be nationalised and given away in a lottery to anyone who missed out by not being a tenant at the time of the switch. Holiday rental housing stock can be exempt from the Jubilee if evidence is provided that the home has been used for holiday letting in the past year. The whole jubilee could be enacted by Christmas and our housing affordability problems would vanish. To maintain the affordability benefits of the jubilee the government can periodically give away homes to anyone who does not have one to allow for changes to population, household formation, and age distribution. It can also redo the jubilee every couple of decades. A public agency can build new homes at a bunch of different locations across all the major cities and towns, just like a private developer. Or it can purchase them from developers, get them through inclusionary zoning, use homes that end up at the public trustee, or get homes into the system in a variety of other ways. But instead of selling them they are given away. My preference for how to do this in practice is a housing lottery. Anyone who wants a house and doesn’t have one would go through a screening process, then if found eligible, would get a ticket for a lottery for a new home in their preferred location. Every Saturday night, to great fanfare, the lottery would be drawn. Perhaps as many as 1,000 homes per week could be drawn nationally, broken down into regional sub-lotteries of local housing to qualifying local lottery entrants. Ideally, there could be statistical targets on the number of homes needed for the system so that the typical entrant, for example, is expected to win the lottery within a year of first entering. The total cost of producing 50,000 new homes a year is about $15 billion. This could be funded ten times over by simply tightening up existing tax loopholes and existing giveaways. Alternatively, and perhaps more practically, those homes transferred for free in the jubilee can be lifetime leases rather than perpetual freehold titles. This means that when people in these homes die or move to old-age care, the house re-enters the system to be given to someone else. If their children don’t have a home, which is unlikely, since they would have themselves been eligible for a free home, they can inherit the lease for their lifetime. Otherwise, the house re-enters the system to be given to someone else. There can also be controls on sub-letting or selling free homes back into the private market. Alongside this system, the private market can continue to function as people sell and repurchase as they choose, though if they do sell they can then enter the lottery if they choose. You might think this is radical. But in fact we do exactly this in healthcare. We spend over $100 billion per year to provide health and hospital care for free to anyone who needs it, no questions asked. Politicians quite often even brag about how much they are going to spend on the health system. Imagine if they also wanted to brag about how many new homes they built to give away! In healthcare though we have a system of medical professionals who decide on health needs, rather than a ‘medical procedure lottery’ which would be totally inappropriate. I personally think a lottery adds excitement to the whole process. It also adds fairness, as the homes won’t ever be exactly equal in terms of locational and quality attributes, so if luck determines who gets the slightly better homes, then so be it. The only role for bureaucratic assessments will be to ensure eligibility to enter the housing lottery in a certain location. We could foster a system of professional ‘housing general practitioners’ who assess whether the person entering the lottery is eligible (they don’t already own property) and their need based on age, family size, and location preferences. This is absolutely doable. If we can spend $50 billion on submarines we can do this. If we can spend $100 billion per year on free healthcare, we can do this. If can give away $30 billion per in superannuation tax discounts for the richest households, we can do this. If this idea is too radical for you, perhaps consider whether you actually want affordable housing for all. With nationalistic policies back on the agenda across the world, we should not underestimate the power of our collective belief in the nation-state in driving these political outcomes. Beliefs matter. We have memorials for people who died to protect our nations, we are schooled in how great our country is, along with its customs, cultures, cuisines, national songs, flags and heroic origin stories. Many people are willing to die voluntarily for their belief in their nation. 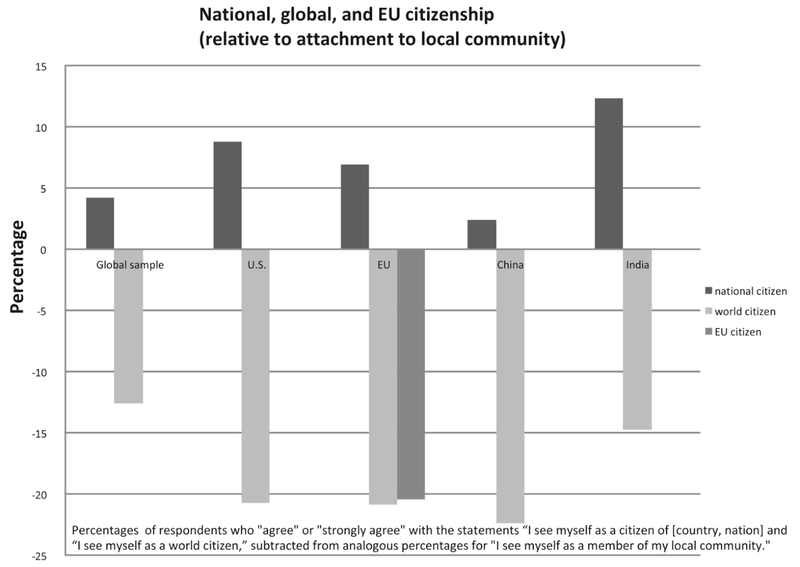 As Dani Rodrik shows, people identify as a national citizen even more than they see themselves as a member of their local community (see below image). People believe in organising the world into nation-states, and feel their identity is most closely tied to them, more than anything. Underlying the social and political conflicts that have generated Trump, Brexit, and the far right leaders of Austria (Kurz) and Brazil (Bolsonaro), is a clash between these firmly held beliefs about who ‘we’ are as a nation and the economic globalists and elites who ‘look through’ borders and see only atomised people and trade. To their detriment, this second group has ignored the power that national belief has in organising society and culture. The clash between these groups occurs on multiple fronts—on immigration, on trade policy and protection, and on social identity which manifests in multiple ways such as the backlash against political correctness further encroaching on firmly-held social identity beliefs (Halloween in Australia? That's not my Australia!). From this point forward, fostering a cohesive national identity without triggering costly (and deadly) internal conflict between these two groups will be a delicate tightrope to walk. What makes it more difficult is that the conflict is not a traditional left-right political clash. The divisions seem hard to pin down for those accustomed to traditional political battlelines. A concrete example is a proposal for a new public bank in Australia. The bank would take power away from 'globalist' privately owned banks to foster national investment and take back profits from the financial sector. It is a very nationalistic policy. Both the traditionally far left Green party wants such a bank, but so too does the far right Katter party. Both these parties, and other minor parties, also think Australia should not participate in the Trans-Pacific Partnership trade deal. Though they are arch rivals on the traditional left-right spectrum, the common ground here is national interest and national identity. I have noticed that even my children can feel conflict over their growing belief in national identity. They are taught to both respect and aggrandise their country, but then look at their toys and ask me with a puzzled look “why is everything made in China?” Can the belief that our country is great be reconciled with the apparent reality that we are not actually great enough to make kids toys? Should they love China for making toys, or hate it for being a threat to their beliefs about the greatness of their home nation of Australia? The current political battleground is over beliefs in the power of nations, and our identity as national citizens. Threats to this identity come in many forms: threats to origin stories (rewriting history curriculum in schools, changing national holidays), threats to customs and cuisine (adopting national celebrations of other countries, like the Lunar New Year, vegetarianism), and threats to how we present our identity to others (for example, gun laws remove personal self-reliance, but are also an attack on a national identity of self-reliance which fuels concerns about trade deficits). It is also not a fight between the working class and the elites. The working class barely gets a say in politics at any time. It is elites against other elites (intra-elite competition as Peter Turchin would say). High-income business owners and professionals have played a crucial role in electing this new political order. Sure, these elites may have economic motives for trade protection, but it is their beliefs in the nation-state that attract a following across the social and economic spectrum. If you think Trump's policies got him elected, you have to explain why his positions substantially changed during the campaign and he still won. I will go so far as to say that Trump could have run as a Democrat, embraced Bernie Sanders's entire platform, and won the election anyway. Is this rise of nationalism a problem? That also depends on your beliefs. Anyone reading who instinctively baulked at this question (“What! How could it not be?”) should take note of how they feel. Beliefs about identity are potent. A similar gut-reaction is felt by many on questions of free trade or immigration, as they conflict with their beliefs. If we are being honest, free trade these days is simply a belief, not an economically reasoned position. The irony that free trade requires thousands of pages of legal agreements is not lost on those who want trade managed in their national interest. Even world experts on trade acknowledge that the gains to further trade are limited, but the redistributive downsides to many are high. So why the belief? Why the gut reaction by one side that ‘free trade’ is good? Why make fun of people who want trade managed in their national interest or who think the economic effect of trade is more subtle than econ101 beliefs? The trade debate is symbolic of this clash of beliefs. But the actual answer to the question of whether nationalism is a problem requires a belief about how our world should look in the future. If you see a future global state, with national borders dissolving over time, then it is a huge problem. If you see a future of nations pursuing their interests while cooperating on issues of mutual interest, then no, the rise of nationalism is not a problem but a timely reorientation towards your desired future. If the European experiment is anything to go by, even after decades, the belief in national identities massively dominates beliefs in supranational identity. My main concern with the rise of nationalism is the internal conflict this clash of beliefs can generate. After all, beliefs reside within people, and if you are fighting for your beliefs it means fighting other people. Take immigration. I personally want a world of nations that allow immigration and where countries foster an appreciation of diverse culture, cuisine, and customs that immigration brings. As an Australian in a mixed-race family, it is hard for me not to appreciate this. But if you believe that high-immigration undermines your beliefs in your nation, then you will feel (literally feel) that you must fight back. I fear that this anger will be directed toward immigrants personally rather than the politicians who make the laws that govern immigration, and who aren’t reflecting your beliefs. The more that the globalist side calls people racist for these beliefs, the more enraged they become, and the more they double-down on all their pro-nationalistic beliefs. That is how it works with beliefs. People die for them when they are threatened. The nature of our beliefs and our identity makes it a real possibility that the European integration project will unravel surprisingly quickly as this identity-clash percolates through national political processes. Take the scenario of a new financial panic engulfing Europe in the next few years. This triggers actual political progress on Brexit. While the current crop of politicians probably wants to delay Brexit (or avoid it), new parties and politicians who rise on a wave of nationalism will take the steps needed to leave the EU. The UK suffers a sharp economic contraction, but the rest of Europe is also in the economic doldrums. Because of the pro-nationalistic spirit of the times, and the ability to use Brexit as an excuse, the UK government enacts large spending programs and subsidies for investment. They repay the nationalistic beliefs that brought them to power, and their economic revival is much faster than anyone expected. The success of Brexit fuels nationalistic beliefs in other wealthy parts of Europe, and within a decade of the first domino falling, the European project unravels as wealthy nations leave the union and rebuild their national identities. A good guess of the sequence can be informed by the results of a recent Pew survey on how European nations regard their culture (read: identity) compared to others. As the image below shows, the relatively wealthy EU countries that record higher levels of cultural superiority to the UK are Austria and Italy, who already have new nationalistic leaders. Does it have to be this way? Not at all. I am just taking the logic of beliefs and seeing where it could lead politically. But the world is complex. New leaders may rise who can walk the tightrope of validating beliefs in national identity while fostering domestic cohesiveness. They may find it possible to step out on the global stage and stand up for national interests rather than corporate interest. I would like to think that there is a possible future where strong national beliefs remain intact and are capitalised on to carefully reform industrial and trade policy, along with immigration and social policy, to reflect the national interest. This could happen by finding and promoting the common ground on both the far left and right to bring new allies together around a common belief in the nation-state. Whatever the future, pretending that beliefs don't matter is wrong, and blaming economics or racism for the current situation is naive. Thinking that lambasting others with 'your facts' will change beliefs is also wrong. Beliefs can only be updated with new beliefs. And for that, we need to gently carve out new inclusive national identities. 1. To make health care affordable we broke this monopolistic market. We now spend over $100 billion to give everyone who needs it high-quality health care for free. 2. We could break the monopolistic market in residential land and give everyone who needs it free land for one-tenth of the cost, or about $12 billion. After all, standard economics says to regulate monopolies to the point where price equals marginal cost, which in the case of land is zero. Instead, we currently spend over $60 billion in subsidies and tax breaks that simply make housing more expensive. 3. The standard prescription by The Experts to reduce housing costs is to increase supply. I call it The Supply Side Distraction. This approach requires a construction boom of astronomical proportions, building an extra 500,000 homes over a decade, requiring an extra 300,000 people (the workforce of Canberra) to stop their current jobs and go into housing construction for a decade. And at best all that gets you is a 10% reduction in housing costs. 4. We could instead immediately reduce housing costs for renters by 37-50% by providing discounted access to land through public land rent schemes, or by facilitating the broad adoption of community land trusts. In Canberra 1,000 households currently save $9 million per year in housing costs in their Land Rent Scheme. 5. Reducing home prices by 25% will wipe off $1.7 trillion in wealth from over 7 million home-owning households, making policies that achieve this political suicide. Simply confiscating the 2.7 million rented homes and giving them to their current tenants for free would be a similar transfer of wealth, but only affecting 1.5 million investors. The second option must be more politically realistic than reducing prices 25%. Thank you for that lovely introduction, Catherine. It is a privilege to be here. I also want to thank you both for involving me in the amazing research and discussions happening at Prosper. If it wasn’t for the big ideas coming out of this group, I would never have been introduced to the huge range of policy options out there. I recommend Karl’s Renegade Economist podcast on 3CR radio to help expand your thinking — from Hong Kong cage homes to privatisation, to energy rorts, and more. I want to also try and expand our thinking today, starting with the first big lesson I took away from reading Henry George — which is that most of our major economic problems stem from the distribution of ownership of land and capital. I remember reading a passage where George made the argument that there could not be involuntary unemployment if every person had a plot of land to farm. It is much the same with housing. 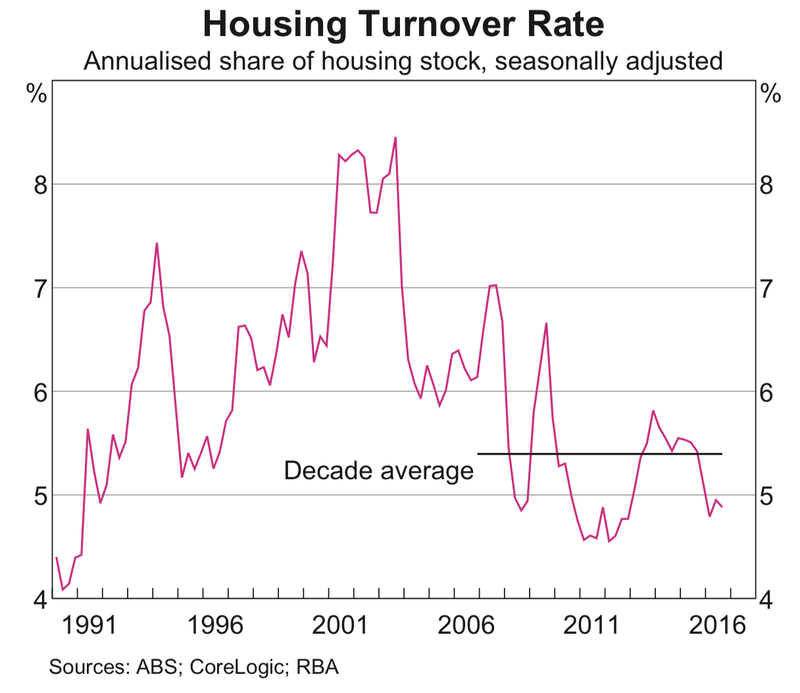 If everyone owned their own home, could there be a housing affordability problem? I want to do something tonight that I believe almost no one has done — talk about ways to make land and housing cheaper, perhaps even free. Despite what you hear in the housing affordability debate, The Experts do not actually want to talk about fundamental changes to land and housing systems that would achieve this. To make my case, and to change the way we think and talk about housing, I first need to take a few detours. Imagine there is a market with monopoly characteristics that is an essential input into everyone’s modern life. The high prices charged by monopolist suppliers are making life extremely difficult for the neediest in society who often go without life’s basics to cover their costs. One group of people, The Experts, think the solution to the problem is to ‘market markets work’. They see complex market failures all around that are not only difficult to understand but extremely difficult to correct. But they want to try where they can to fix these failures, little by little. Another group, The Radicals, thinks the solution is to ‘break the market’. They say that fundamentally this industry will never overcome its monopoly problem and associated market failures and that a totally different approach is needed. They argue that instead of market provision everyone should get what they need for free. The government should simply provide it, and if needed raise over $100 billion in extra taxes per year to do it. The Experts— the make markets work team— laugh at how implausible that is. The Experts release report after report showing how their proposals might reduce costs by a few percent here, and a few percent there. That is, apparently, the best we can aim for. Luckily, with the exception of the United States, the second group— The Radicals who want to ‘break the market’— won the debate. Universal public health care has been established in just about every rich country; Australia and Canada’s Medicare systems, the French and British National Health Services, and many more. Just about every rich country decided that providing universal access to quality healthcare for free was a basic function of a modern wealthy country. In healthcare, we solved the monopoly problem by breaking the market. We spend $100 billion of our tax money to do it. And now everyone is better for it. Now, we can talk about land. But first a special type of land to think about the problem in the abstract. This land is where two roadways cross— an intersection. Imagine living a century ago in 1918 and seeing massive social failures at road intersections; fatal accidents and congestion, the rich with their fancy motor-carriages roaring zooming dangerously past the poor with their horses and hand-drawn carts. Being a common-sense person, you see this situation and propose a non-market system of turn-taking using a system of electronic lights run and paid for by a government agency. It makes total sense. But if you tried to propose this system today, you would be labelled as mad by The Experts— the ‘make markets work’ crowd. Their solution would be to price access to the intersection. You know it would be! After all, their favoured modern solution to traffic congestion is real-time road pricing. “We shouldn’t break the market” they would say. “Make the market work” they would say. “A publicly run rationing system is completely implausible nonsense” they would say. Yet back in the real world we do in fact spend hundreds of millions of tax dollars each year on the radical, crazy, implausible, leftie, nonsense scheme that breaks markets rather than makes them. Turn-taking. Remember that. It is innate. I have never seen a parent at the playground teach their child to bribe other children for a turn on the swings. Even The Experts force their own children to take turns, even though their theories say it is nonsense to do so, and even though they would never impose such a system on the rest of us. We can now finish this detour and talk about the land we need for housing. But once again I want to us to think abstractly, and not about the world as it currently is presented to us by The Experts. Imagine you are an explorer who has discovered a small island society. You observe that the island comprises 4 families. Three of them appear to own their own homes and control all the land on the island. One family does not— The Murrays. So, The Smiths house The Murrays, who have nowhere else to go, for an exorbitant fee. No matter what The Murrays do, how hard they work, what they earn, their landlord is able to extract most of the economic gains they make. After all, these other families hold the land monopoly. a) why can’t this society just cooperate and give The Murrays a plot of land for their own home rather than extorting them for a huge chunk of their income. b) look at The Murrays enjoying the spoils of the property market at work! Because I can tell you when The Experts and the economics profession sees this society—a million times magnified across modern Australia—they think b) look at the magic of the property market at work. They have nothing to offer The Murrays. In fact, the current policy advice from mainstream economic Expertsis for our island society to do nothing, or even perhaps subsidise The Smiths, the landlord, for renting space to The Murrays! That is exactly what our discounts on developer charges are, for example. It doesn’t seem like a solution to me. Or perhaps we should give The Murrays more money to specifically spent on housing? Would that go straight into the pocket of The Smiths perhaps? We have those schemes too. We call them First Home Owners Grants. Or, what if we were actually serious. Maybe we could limit the rent paid to 25% of The Murray’s income? We have such schemes as well in the form of public housing, and the National Rental Affordability Scheme. But even then, 25% of gross income is a long way from the 0% that the other Families on the island pay for housing. This story shows why homeownership makes sense. Home ownership provides secure ‘non-market-priced’ access to housing in perpetuity. In fact, it is free. Once purchased, home owners no longer need to participate in the monopoly land market. They have their own non-market supply of housing. I remember talking for almost two hours on the phone to John Alexander, Liberal member for Bennelong, and he was very concerned about making housing affordable and probably one of the more thoughtful and genuine politicians to try and tackle the issue. But he did not want prices to fall. He had in mind a complicated financial scheme that would funnel foreign buying into new property. Specifically, his goal was for prices to rise at only 5% per year instead of the recent 10%! It was never clear exactly who would benefit, or how this was meant to make housing cheaper. But he felt like there was no other option. I asked him “What happens if prices fall by 20% in the meantime due to market cycles?” This situation was apparently undesirable. Prices must rise. The market must be rescued. I think we should be clear if we are going to talk about affordable housing. I think we could even avoid using that phrase and just say “cheaper housing”. We don’t talk about grocery affordability or petrol affordability. We say cheaper food, and cheaper petrol. Regardless, what I mean by affordable housing is that I want the price of secure housing to be lower. 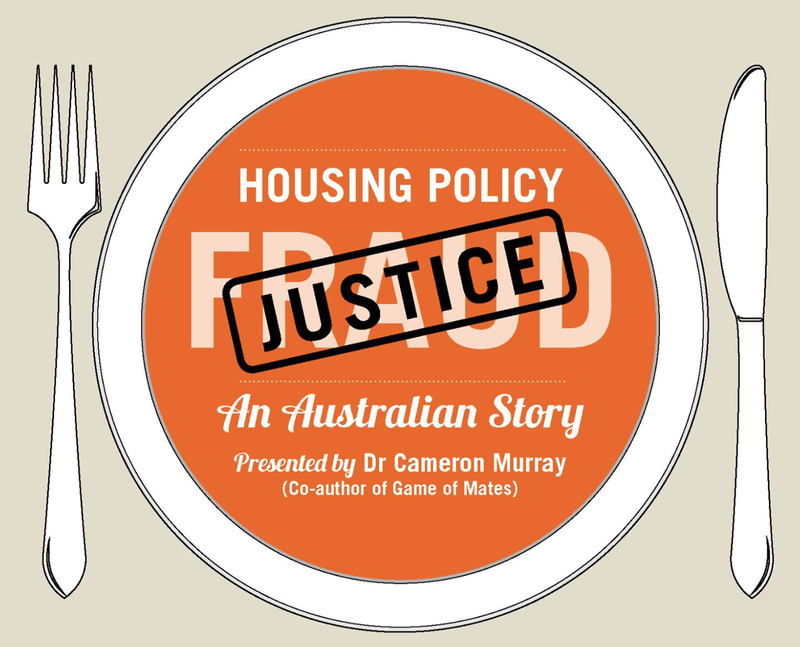 At the limit, we could make housing free, just like it is for the three families holding the land monopoly on my fictitious island society, and like it is for over 2.7 million households across Australia who own their home without a mortgage, and like hospital care is to every one of us. That is our benchmark—free, secure, housing, just like homeowners have. That is what we should aim for. As a rule of thumb, we have one third of household own their home mortgage free. One third own with a mortgage, and one third rent. Really, the housing affordability problem is one that only affects renters and new, recent, buyers. The 2.7 million renting households pay about $50 billion per year on rent to the 1.5 million landlords. The 3.3 million home-buyers with a mortgage pay around $60 billion in interest each year on the $1.1 trillion in owner-occupier homes loans. Only around that 300,000 of them bought their first home in the past 3 years, paying around $10 billion a year in interest. Let me repeat that. To give everyone free access to housing, not free perpetual property rights, we could pay the $50 billion rent and $60 billion in mortgage interest from tax revenues, and it would cost much the same as our public healthcare system. This would be a situation of 100% free land and housing for everyone in their current home. This is about the same as the profits of the banks, and the fees on superannuation, and the tax breaks on capital gains combined. If you think tackling these other economic challenges is possible, then making both land and housing free for everyone is totally achievable. Instead, we often get distracted and talk about housing affordability as something completely unaffordable. 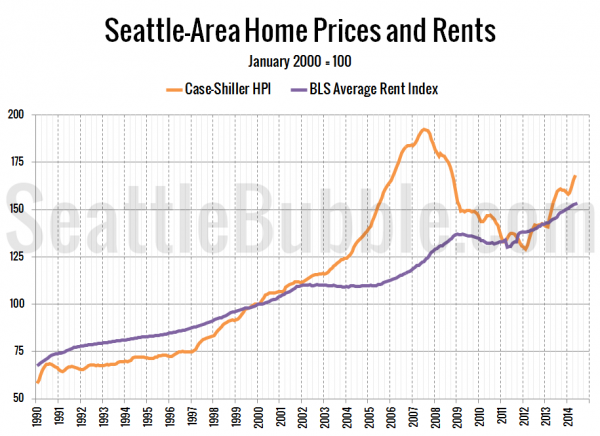 For example, referencing benchmarks of rent-to-income ratios, of around 30%. Why taking a few hundred thousand household from paying 35% of their gross income on housing, to 30%, makes much difference to anything is beyond me. I couldn’t think of a worse benchmark for affordable housing. We also need to stop thinking about making housing affordable in terms of the market price of housing, whether in the form of purchasing in perpetuity —what we typically mean when we say the house price— or renting for a fixed term. As I have alluded to, we don’t have to supply housing only through market-pricing. We can have multiple cheap ways of accessing secure housing. We didn’t make healthcare free by making minor tweaks to the market price of drugs. We did it by pooling our resources through taxation and giving it away. Yet none of what I have been talking about seems to be anywhere near the Australia’s housing policy agenda, which is dominated by The Experts who can’t think beyond markets for economy policy – only for parenting. Right now, the housing policy environment is best described as busywork— good intentions, plenty of noise and activity, achieving nothing. Making plans to make plans, to have an inquiry, to make recommendations, for a plan, to create a taskforce, and around the merry-go-round we go. If an alien economist landed here and looked at our housing policies, would they think the rules designed to make housing cheaper and more secure, or more expensive and less secure. Some academics, who have been trying to operate objectively amongst the fog of academic self-delusion have had enough. In 2015 Nicole Gurran and Peter Phibbs published an article entitled — Are Governments Really Interested in Fixing the Housing Problem? Policy Capture and Busy Work in Australia— which basically answered their title question in the negative. • Senate Inquiry into Affordable Housing, 2014-2015. The madness of it all is that after the thousands or work-hours on these reports, there is no political interest in making housing cheaper, and the housing policy we currently have can be summarised as ‘do nothing’ and let the land monopolists flex their economic muscle. All these reports have in common an economic framework that sees The Murrays on our fictitious island society and admires the market at work. The mainstream economists who dominate these inquiries, reports, and policy busywork, have nothing to offer the question of affordable housing as they have no deep understanding of land markets. The profession’s pet theories expressly assume away all the important monopoly characteristics of land markets leaving them on able to, at best, waffle aimlessly, stringing together loaded jargon like competition, elasticity, regulation, equilibrium, all the while saying nothing. In short, we have a policy fraud built on an intellectual fraud, intentional or not. We have policy analysts, think tanks, academics, and commentators, who battle the power of pharmaceutical and healthcare monopolists by taking away their pricing power with non-market systems, while at the same time ignoring the pricing power of land monopolists and even boosting it with even more gifts, grants and subsidies! These people probably sit in adjacent cubicles, taking radically different approaches to the same economic problem. I’m looking at you Grattan Institute. We know that land is a monopoly for two reasons. First, it comprises the right, but no obligation, to be put to use. Second, there is no free entry— you cannot compete in land markets using inputs that are not also outputs of that same market. This is exactly what modern real options theory says — don’t build housing unless it beats waiting to build something better in the future, and don’t sell unless you are sure the future options are inferior to cashing out. A fundamental irony, however, is that once you accept that land is a monopoly, standard economics says you can regulate the price down to the marginal cost. Since the marginal cost of land is zero, an efficiently regulated market would set the land price to zero. Really? That’s less exciting than John Alexander’s preferred outcome of prices rising 5% per year instead of 10% per year! Now, I know Brendan really cares about this topic, and he is probably one of the smartest housing analysts out there. But like almost all others, he ignores the land monopoly, and that’s a fatal mistake in the economic analysis of housing. He knows my views, so what I’m going to say won’t surprise him. A frank approach would see that in the three months to June 2015 Sydney home prices increased 9%. This is the scale of the ambition– reverse a few months price growth with an insanely large decade-long construction program. And the economic cost of that low ambition? That would be a 25% increase on the already high number of homes being built of over 200,000 per year, enough to accommodate half a million people. We are currently building a new Newcastle-worth of homes a year, and we would need to add to that a new Ballarat, Toowoomba, or Darwin’s worth, every year, for 10 years, to reduce prices by just the amount they grew in the second quarter of 2015 in Sydney, or the past 10 months in Hobart. Some suburbs of Sydney have seen prices fall by more than that in the past year from tightening of credit. It is a colossal investment task for a minute reduction in housing costs. Currently, a record 9.5% of the labour force is in construction, which was just 7.5% prior to the financial crisis. To meet this supply ambition over ten years, to reverse a few month’s price growth, would take an extra 2.5% of the workforce to stop what they are doing, stop producing what they are producing, and shift into housing construction. That’s an extra 330,000 people, or about the labour force of the Gold Coast, and even higher than the labour force of Canberra. The real resources required for this 10% price effect make me wonder how serious followers of this view can be. Even worse, The Supply-side Distraction does not involve actually building any new homes at all but hoping that minor tweaks to planning rules will stimulate the greatest construction boom in the history of the nation where property developers left, right, and centre, will be building thousands of new homes even though it reduces their profits by doing so because it reduces prices! That’s the truly bizarre part of the story. Not only do the economics show that supply’s effect on price is tiny, making it a strange target for an affordable housing policy, but the way that supply-siders plan to get there is, essentially, to hope the market works like it does in their clearly flawed model! I have many times asked that if you really believe this story, why not create a public agency tasked with building and selling 50,000 new homes a year, regardless of their own profitability. No. That’s getting too close to being an effective way trimming 10% off the price of housing. We wouldn’t want that! The Experts’ affordable housing policies are costing us dearly and often making housing even more expensive. State and the federal governments have spent around $1 billion a year on these programs, plus hundreds of millions in stamp duty discounts for first-time buyers. Tax expenditures from the Capital Gains Tax exemption for owner-occupiers are nearly $50 billion per year and tax discounts that apply to property investors are around $3 billion per year. We are rezoning land for free rather than charging for it, costing another $11 billion per year, chasing a non-solution of hoping land developers will voluntarily build so many houses that prices fall. All up, we already spend $65 billion per year on policies that don’t make homes cheaper. It would be madness if we spent all our health funding on energy crystals and psychics, and nothing on medicines and treatments that had passed scientific scrutiny. And yet, in the housing sector, that is what we have. A fraud of epic proportions if ever I saw one. The politics of property is why it is so easy to perpetuate this fraud, even for those who genuinely care about cheap, secure housing. The simple fact is this—making housing cheaper is a multi-trillion-dollar transfer of wealth. In March 2018 the total value of residential dwellings in Australia was… and this is truly astonishing…. $6.9 trillion (or $680,000 per dwelling on average). It is hard to fathom such big numbers, but that is about four years of GDP, four times more than the market capitalisation the whole Australia equity market, and six times the value of the world’s highest valued company, Apple. Now imagine that we want to make the market price of housing cheaper. Say 25% cheaper. This would take Sydney prices back to where they were in September 2014. If we did that nationally we would wipe out $1.7 trillion of value from the balance sheets of over 7 million property-owning households. It would be one of the biggest wealth transfers in history— from a huge majority to a tiny minority, just 3 to 4 % per year, who are first-home buyers. Reducing prices would be political suicide. And politicians know it. I often wonder if we have politicians or political parties sophisticated enough to make big changes that will reduce home prices. I worry, for example, about the Labor party’s promise to both reduce the CGT discount and require quarantining of negative gearing losses. We know that when the Resources Super-Profits Tax on mining was proposed the government of the day faced extreme pressure for vested interests and caved immediately. What plan does Labor have to combat the vested interests in property development when they too launch a $20 million propaganda blitz against the policy? How serious are they? Do they have their own advertising agencies lined up? Do they have a sophisticated media and communications team ready to saturate the airwaves to such a degree that the vested interest counterpunch has no breathing room? In my view it would be more politically expedient to simply redistribute rental housing from landlords to tenants. It would amount to the same $1.7 trillion wealth transfer. But instead of from 7 million homeowners, to potential future homebuyers, it would be from the 1.5 million landlords to the 2.7 million tenants, creating twice as many winners as losers. If you think reducing home prices 25% is even remotely politically feasible, then acquiring all homes from landlords and given them to tenants is almost a done deal, politically speaking. I’m deadly serious. We could do this, shift any debts onto the central bank balance sheets, and wipe our hands, having solved the affordable housing problem for another generation. By I have a more modest goal than that—free land, for life, for all. In our monopoly housing market, one third of households already get free land. One third own a home but have a mortgage, with the most recent of these buyers paying about 28% of their income on repayments on average. Another third pays about 21% of their income on rent on average— providing an income of over $50 billion per year to the nation’s 1.5 million landlords. A free land option could be made available for those who don’t already own a home, targeting the 2.7 million renters, and some of the recent buyers. What George is imagining here is a new option where workers get free land access, and because of this, their wage increases ‘remain unappropriated’. If everyone has the option to get free land, can there be unaffordable land and therefore housing? The lesson is that we need, to some degree, to break the land monopoly with alternative land access options. What George had in mind was socialising the land and renting it rather than having perpetual obligation-free ownership. This way, the monopoly benefits of land ownership were shared widely through this common ownership. But there are other ways to create access to housing that avoids the monopoly land market. My best proposal is this — a traffic light system of taking turns using land for housing, for free. Give us our earth rights. Our birth rights. Henry George lived at a time when governments were just a few percent of the economy, so he might have regarded the supply of free land by a public entity as impossible, hence he instead imagined what would happen with the discovery of a new bountiful island that gave workers free access to land. In the 21st century economies of the modern world, we certainly can provide free housing. After all, the government spends more on healthcare than homebuyers spend on loan interest, and renters spend on rent. When something is really important, we never rely on markets to provide it. We bail out farmers in drought. We provide public education and healthcare. We run the courts, the military and the police. We run the road system. What would a turn-taking traffic light system of free access to land for housing look like? 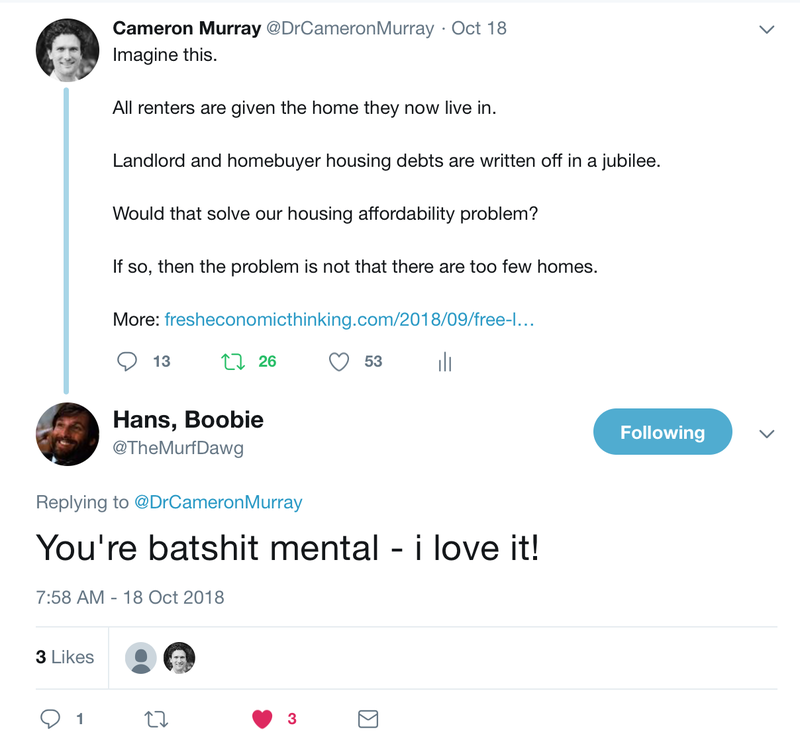 Luckily, we have an experiment running since 2008 now in Canberra where over 1,000 residents are currently saving more than $9 million per year in housing costs and will be 37% better off than renting the same home over a decade. Here residents who do not already own property are given access to land in new subdivisions, not quite for free, but for a discounted access price of 2% of the market value each year, with a cap on the assessed market value growth of the local wage index. For a $275,000 block of land, the average in the scheme, rather than pay to borrow the money needed to purchase at 5%, you simply pay to rent the land at 2%, a $9,000 per year saving. This is massive! Remember that what we are doing right now is hoping that we can build enough homes over the decade to reduce rents and prices by 10%, or about $2,000. It has been proven that we can do nearly five times better tomorrow if we want. Over 2,000 people have taken up the scheme since it began, and over half of them have since left because they saved so much money they decided to buy their land or another house in the private market. If a scheme of this scale had been implemented nationally it would have created about 125,000 homes, housing over 325,000 people, with half going on to buy their own home in the private markets. Those remaining would be saving over half a billion in housing costs per year. But this amazingly successful land rent scheme only gives residents access to land for the equivalent of a little under half price. That 2% could just as easily be 1%, or 0%. If we worried about making land free, we could have a rising block system – if the market value of the land is less than $200,000, you pay 0%. But you pay 3% for the value above that. If we adopt these systems nationally or in other states this rate is important to get right early, because changing it will arouse concerns about fairness (the report covers some of the sensitivities to changes made in the ACT scheme). The amazing thing is that the budgetary effect of the ACT scheme is to break even. This is actually a free scheme to give people cheap housing! This is because the discount on costs to residents are offset by capital gains being held by the government. As long as the capital gains on average make up the difference between the land rent percentage and the government cost of borrowing, they have no net financial cost. If such a scheme was to be made zero percent, the cost would only be the difference between the capital growth rate and the borrowing rate, or around 2% of the land price. You might be thinking that this is a problem— the residents miss out on capital gains while the government gets them. But of course, renters never get capital gains anyway! On net this scheme is an economic trade-off —give residents low-cost homeownership as long as they give up their capital gains. It’s another housing option, more secure and cheaper than renting, and this exactly what we need if we care going to make housing cheaper without the multi-trillion-dollar political risks that come with depressing market prices. But there is more. Not only do we have the ACT example, but globally there are examples of community land trusts (CLT) which accomplish the same trade-off of cheaper homeownership without the financial speculation. I will comment only briefly about such schemes, but I see no reason why we cannot have multiple alternative low-cost homeownership options available. A CLT takes subsidised land and passes these lower costs onto residents through regulated pricing, again breaking the monopoly market. 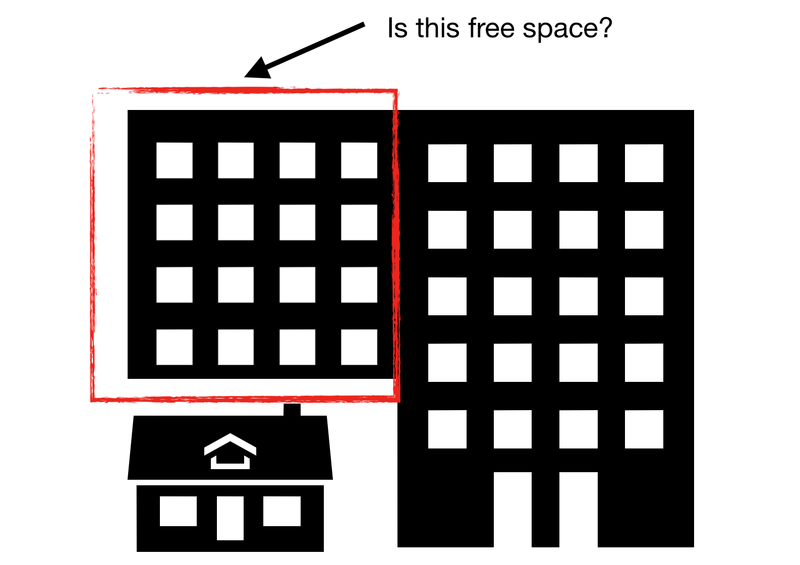 For example, rather than rezone a property developer, giving them new property rights for free rather than selling them, we could have planning rules that allow more density only for CLTs which must offer land to residents at prices that are at least 50% of the prevailing market price, just like the LRS. The economic mechanism here is a bit subtler, but in essence, the price control of resales ensure that capital gains can never be realised. One scheme that started with a subsidy from Bernie Sanders in Burlington, Vermont, has regulated prices around 40% below the nearby prevailing market. The modelling I did for this report showed that similar schemes based on Australia conditions could reduce housing costs by 50% comparing to renting and be much more secure. Like the land rent scheme, CLTs are a vehicle to make land free as well, if that’s what we want. How much does free land cost? Free homes in the form of paying rent and interest would cost over $100 billion. But free land access with social ownership is much cheaper. A more than 50% discount on land has been achieved in the ACT at no economic cost to the government. It is break-even when residents pay 2% of the land value, so the net annual cost to the government for offering free land would be to forgo this 2% of the market value as revenue. That’s our benchmark. 2% of the market value and we can give everyone who doesn’t own property free land for life. Not all of the nearly 2.7 million renting households would enter the scheme — it would apply to Australian citizens, those who do not own any residential property — excluding rent-vestors unless they first sell — and would probably be unsuitable for very mobile households. Let’s say our target is 2 million homes. At an average market value of land of around $300,000, a 2% subsidy to make land free amounts to just $12 billion per year! The is roughly the value we give away for free through rezoning decisions that could instead be sold. It is about a fifth of the current housing subsidies we have that make housing more expensive. Free land is dirt-cheap housing policy. If we are to start a parallel land access system, we need to convert land into the scheme without having to outbid existing buyers in private land markets. The ACT has an advantage in that it already has a government entity supplying all new residential land. Qualifying buyers are simply provided the option purchase using the land rent scheme rather than pay up-front. The scheme is not tied to specific lots, but to specific buyers. In other states without these agencies, it can be a bit trickier, though there are still some government developers around, like Landcom in NSW. To get the 2 million homes into the scheme over 10 years is just 200,000 per year. For context, we built 170,000 new homes per year over the past ten years. What are the ways to get land into the scheme on a national scale without sending new families to the housing auctions to outbid each other? To get the first quarter of a million homes we can have a new land agency compulsorily acquire undeveloped subdivisions from private developers. We know from Prosper’s research in their Englobo reports that there are easily a quarter of a million plots of land ready to be developed. Like the public developer in the ACT, the agency can develop the infrastructure then supply the land to free for residents to build their homes. We could get nearly another quarter of a million in dense areas using the land agency to acquire whole new buildings from developers who might be struggling to get presales, or simply acquire sites or use publicly-owned land to build apartment buildings with the right mix of dwellings for the scheme. Homeowners could convert their own land into the scheme, being paid the assessed land value, and forgoing future capital gains, as long as there are controls that restrict the purchases being made prior to the date of the start of the scheme so as to not attract a flood of new buyers who overpay with the intention to convert to free land scheme if prices start falling. Negotiated agreements between landlords and tenants could covert land into the scheme if landlords want to cash-out without the sale costs, subject to valuations and approval from the agency. There are many more ways, like acquiring deceased estates, negotiating to acquire homes from mortgagees in possession, and more. Though it may decrease market prices by providing a new option for renters and homebuyers, I think this type of approach is politically more palatable because the objective is not to remove $1.7 trillion in asset values from the powerful voter base of homeowners and investors. Like having a public health care system doesn’t directly target the price of private health insurance, the existence of this option certainly does help reduce the price in the private market. Such schemes can be marketed like as having no retrospective changes. You keep your land value under the current private system, but we will simply build a new system in parallel. The free land scheme also can’t be challenged by those who think we need to build more housing to make it cheaper. What could be better than building more housing and giving people access to it for free for their whole lives?! Let me conclude then with how I think we should talk about housing affordability. Our benchmark should be free land for everyone. We never talk about affordability for homeowners because they have free land. They have already escaped the monopoly land market. First, we should aim high— not this meagre 25% of household incomes on rental being classed as affordable. We should call out policy fraud where we see it — counterproductive policies, and others that do not get anywhere near making land free. We should simply not give them let them control the debate by agreeing with them when they say how difficult or expensive it would be to make housing affordable. It’s not a wicked problem. Stuff that. We should especially ignore anyone whose analysis ignores the land monopoly and talks about market solutions. That is, most of The Experts. We should show that many of the most effective systems we have are non-market, in public health care, on our roads, our education system, our military, our courts and more. We should emphasise how cheap it is to make land, and even possibly houses, free for all — it would cost far less than the ineffective housing policies we already have that making housing more expensive! It would cost less than we pay to money-managers each year to extort our super, and less than the banks make in profits. We should never justify policies to make housing cheaper by their government budgetary impact. This is admitting defeat before you even start. None of the current ineffective policies were sold that way. Expensive policy is a good thing because politicians get to say they are investing $25 billion on housing! Think about the jobs! Thank you for listening. I look forward to your questions.